Below are the standard BJU Press English materials provided for each elementary grade. Some grades may include additional pieces. The Student Worktexts provide guided and independent practice for the students to complete. A chapter review and a cumulative review are included at the end of each chapter. The Writing Handbook contains a thesaurus, writing models, a list of frequently misspelled words, and a list of abbreviations for the students to refer to while writing. A glossary of English terms and copies of grammar songs are also included in the worktexts. The Teacher’s Editions feature alternating chapters for teaching grammar and writing. The grammar lessons provide easy instructions on how to teach grammar for understanding. The writing lessons explain how to teach writing as students plan, draft, revise, proofread, and publish many types of writing. Rubrics or checklists are provided for grading each type of writing projects. Additional writing prompts are given as an alternative to testing students over some of the writing chapters. Overprint answers are provided for the Student Worktext pages in readable size. 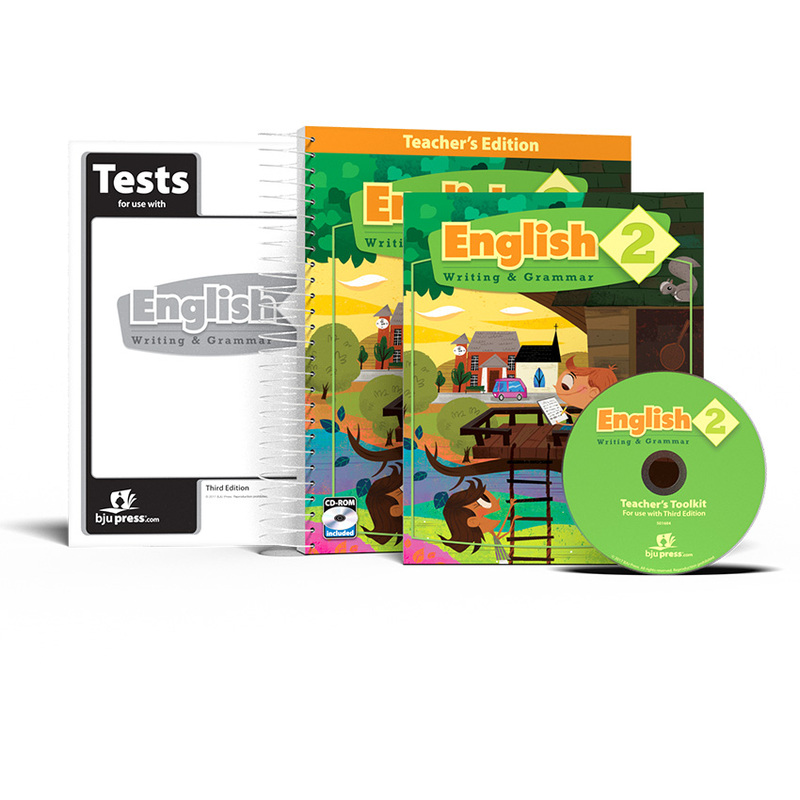 Each Teacher’s Toolkit CD, located inside the back cover of the Teacher’s Edition, includes reproducible pages to supplement the grammar lessons. The Extra Practice pages may be used for classwork or homework to review grammar lessons. They are also great for assessment of student progress during a grammar chapter. Each test packet contains one age-appropriate test per chapter, covering the most important concepts taught in the lessons. These tests can be adjusted to what the teacher has taught. The Tests Answer Key is sold separately for each test packet.